In case you’ve ever gotten a blank stare when you tried to describe your wedding as “classic-modern with touches of refined whimsy and bold-yet-natural accents,” a Seattle-based website is here with some helpful visual tools. 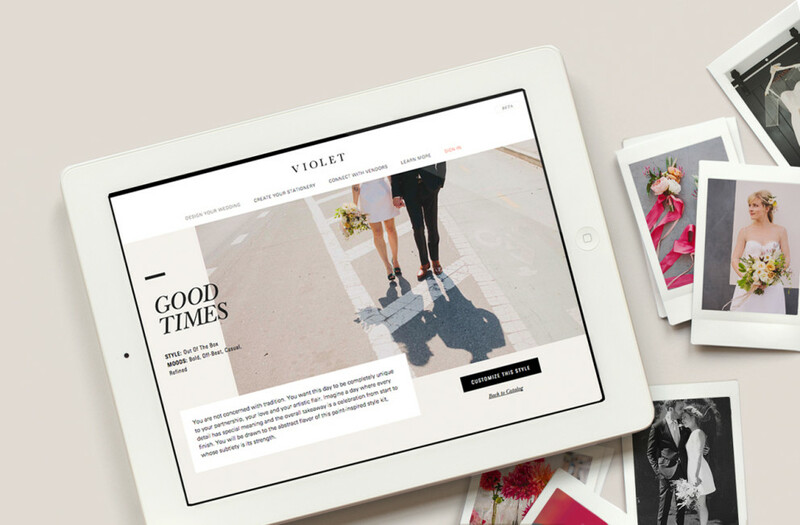 Violet—which happens to be in the creative hands of former Seattle Met Bride and Groom art director, Samantha Gardner—aims to help couples hone in on their wedding style with its easy-to-use design tools. Brides and grooms can browse through Violet's selections of style and mood themes that offer up ideas on color palettes, logo options, and inspirational photos from real weddings. Below, we chat with creative director Audrey Han about the new site, the future of wedding branding, and how to get your whole party on the same page. What are the goals for Violet? Han: We wanted to build a product that could really engage the Pinterest and Instagram generation in a meaningful way. We wanted to create a space where couples can be inspired and put together their vision easily using our design studio and customize and collaborate with experts to execute their dream wedding. In what way does Violet stands out from other bridal resources? Violet allows couples to create their wedding logo and a style guide to share with vendors. This helps create a cohesive wedding look from day one. 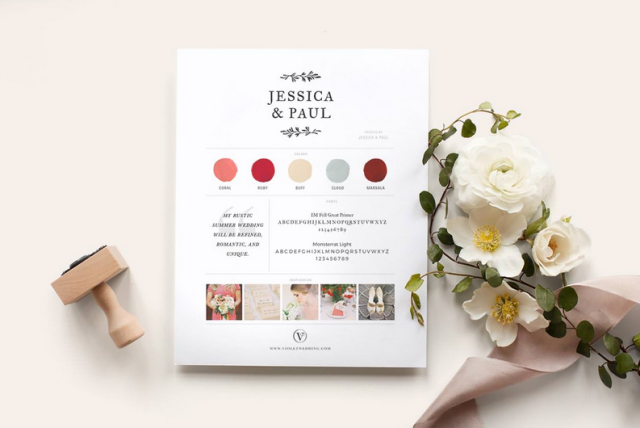 The couple can share the style guide with a wedding planner or take it directly to individual vendors to ensure that their vision is communicated. They can also work with vendors to apply their logo to day-of goods like favors and coasters, etc. I think it’s a new, totally modern idea that a wedding comes with a “branded package,” and hash tags and the equivalent of logos and all that. Why is branding important and in what ways does it manifest itself in a wedding? The goal of your wedding brand is to encapsulate and realize your vision. It’s the visual and emotional representation of the bride and groom. A wedding brand will serve as a tool for anyone helping with a wedding—vendors, family, and friends—to bring that vision to life and ensure the aesthetic is seamless and consistent. The Violet site is still in beta mode at the moment, but future developments promise vendor resources, more real weddings, and a line of custom stationary and paper goods. Check back often to see new the developments.